“I have a dream” is one of the most iconic phrases of our lifetime. In a speech delivered by Martin Luther King Jr., on August 28, 1963, this phrase motivated and mobilized a generation. There are many leaders across the country; however, Martin Luther King Jr. is arguably one of our most revered. Anyone looking to emulate him would never be questioned and left a better person. Martin Luther King, Jr. (January 15, 1929 — April 4, 1968) was the most visible leader and spokesperson for the civil rights movement. He used the civil disobedience teachings of Mahatma Gandhi to bring the movement to the forefront of American minds. From leading the Montgomery bus boycott that successfully ended segregation for the transit system in Alabama, to organizing the March on Washington for Jobs and Freedom where he delivered his now famous speech, King empowered generations. There is no room to waver when it comes to being a successful leader. You need to have the courage of your convictions, stand strongly behind them, and make sure that those following you see that belief. However, it’s crucial you stand behind that cause, as you know, legally and peacefully. Dr. King had an abundance of self-control, wisdom to know when to speak and what to speak, and the persistence to never give up- no matter the hate and violence he was subject to. Dr. King kept the big picture in mind, never wavering. Being committed to your cause is one thing — but you’ve got to have a clear roadmap and plan. Dr. King knew exactly what he wanted, and what it was going to take to get there. Whether you’re leading your platoon, teaching a classroom full of eager minds, or saving someone’s life in the ER- you’ve set a path and follow through. To be a successful leader, communication is key. Martin Luther King Jr. is one of the most eloquent speakers the country has ever seen. He was able to motivate millions through his speeches. King was so well spoken, motivating and inspiring, that his words continue to engage people more than fifty years later. MLK was also, however, a simple speaker — he was straightforward and delivered his message directly. Nobody questioned his plan, his path, and his dreams for our country. The people you’re leading should never doubt where you’re headed. In the Speech at the Lincoln Memorial, King used similes relatable to every American. He spoke of coming to the capital to cash a check. This comparison painted a definitive picture of the problem King was fighting against, rallying the people around him. Without determination, as you know, leading people is much harder than it needs to be. Show the grit, show how important your passion, cause, job, or mission is and never waiver. Lead by example. Show people, through what you do, that IT (whatever “it” is) is important. If they believe it’s important as well, they will join your mission. Good leaders can read the situation, read a room, or read the people they’re working with and anticipate their needs. Much like a master chess player, King thought several moves ahead. Real leaders need to understand what their audience needs in order to act. King knew when he began to organize voter registration and busing large numbers of black voters to the polling stations, turning a large population of voters with limited economic means and education, into active citizens of change. In addition, his ability to read the signs of the political scene led him to choose Selma, Arizona as the starting point for the voting rights movement. On March 25, 1965, King led thousands of nonviolent demonstrators on a 5 day, 54 mile march from Selma, AL to the steps of the capital in Montgomery, AL. This foresight caused change at social and political levels, sending ripples throughout the cultural landscape at local and national levels. One of the things that made King a strong leader was his ability to form mutually beneficial alliances with community leaders and local ministers. He worked with major political forces, including those within the White House, to further his agenda. Choosing strong allies that will help with the problematic portions of your plan creates a wider platform to deliver on your mission or goals. If you start from the beginning and make people feel as though they are part of your mission, you’ll be more successful and stronger each step of the way. Don Phillips, the author of Martin Luther King Jr., on Leadership: Inspiration and Wisdom for Challenging Times, quoted King as saying “people derive inspiration from involvement.” It makes people feel important because they are actively part of something important to them. 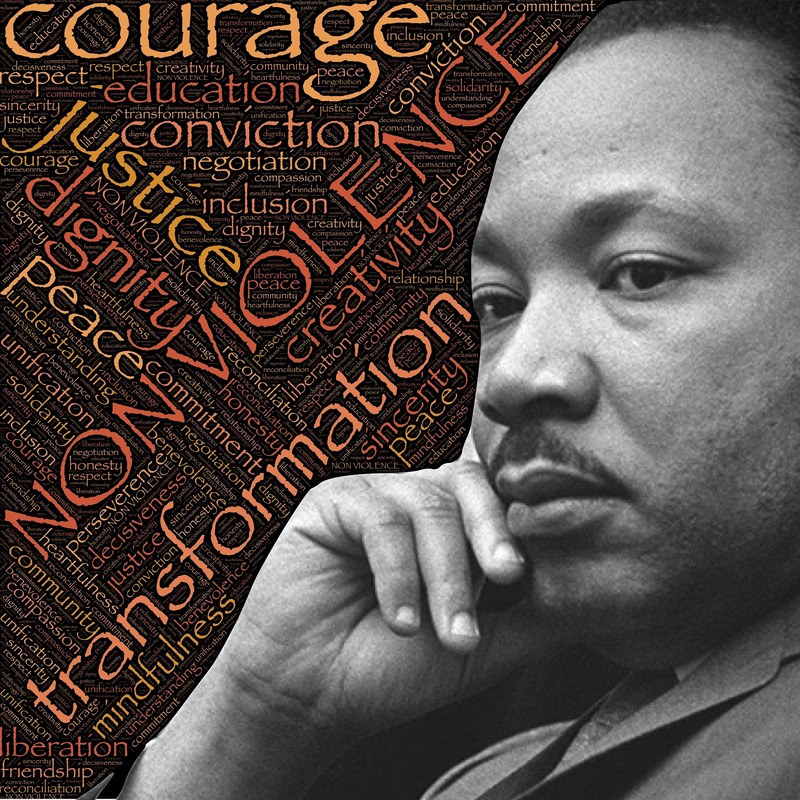 Martin Luther King Jr. remains one of the country’s most impressive leaders to this day. His command of leadership qualities, like the above, offers powerful lessons for those looking to make real changes, whether at home, work, or within family or peer groups. To Dr. King – We thank you for the time you spent with us, how you illustrated the backdrop of your time, and guided society to a better understanding and acceptance of our fellow man. To all the heroes who have followed his path in serving people for the betterment of others, Homes for Heroes is profoundly grateful for the sacrifices you’ve made, and the impact you’ve made in the lives of others.